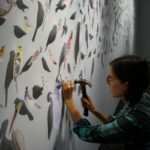 At the end of each semester the FSU Museum of Fine Arts host the Graduating Bachelor of Fine Arts Exhibition. 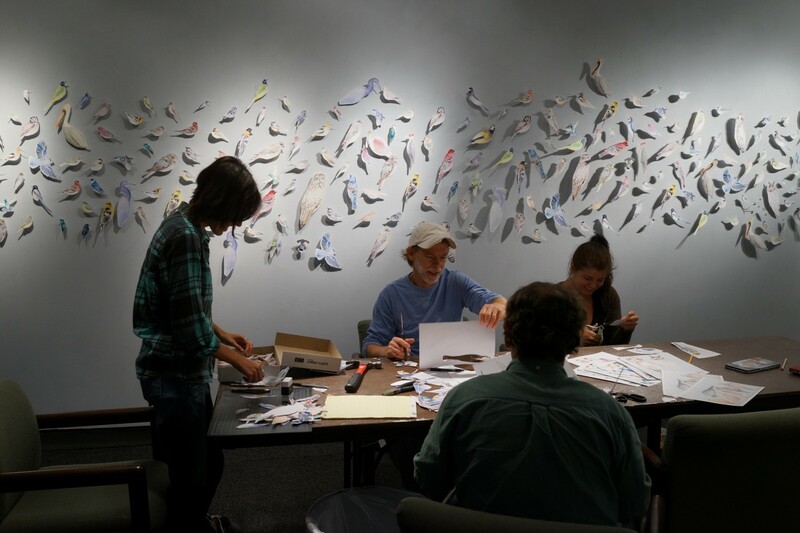 As part of the BFA program, seniors in their last semester must complete a thesis project and exhibition practicum. 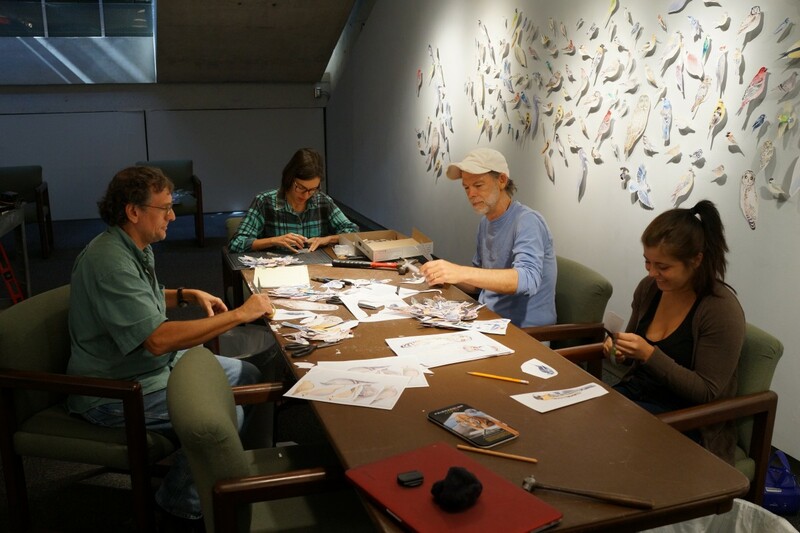 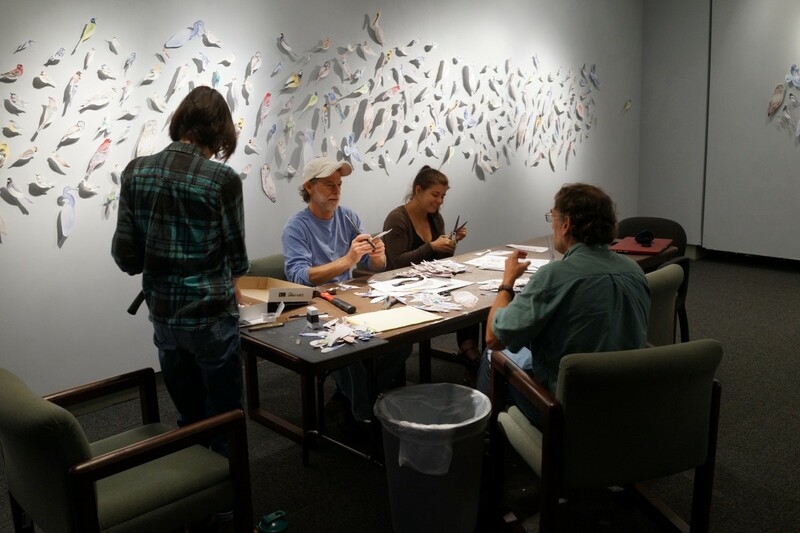 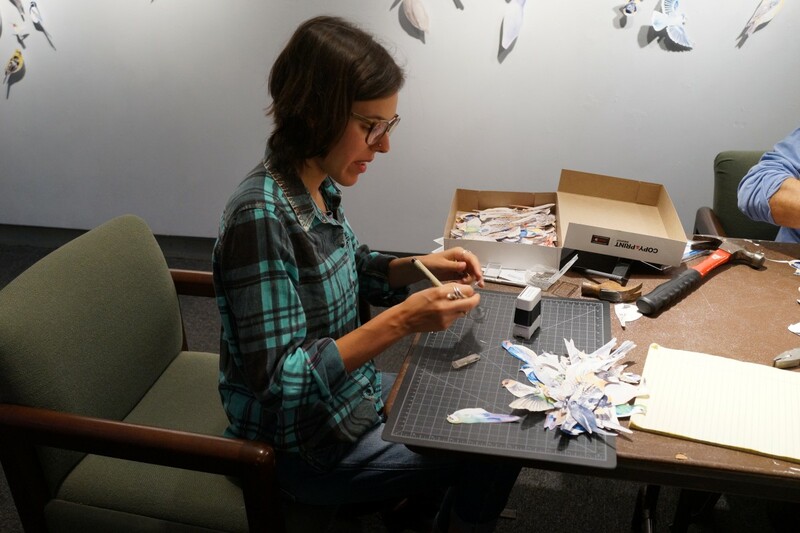 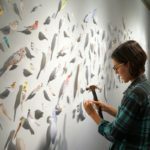 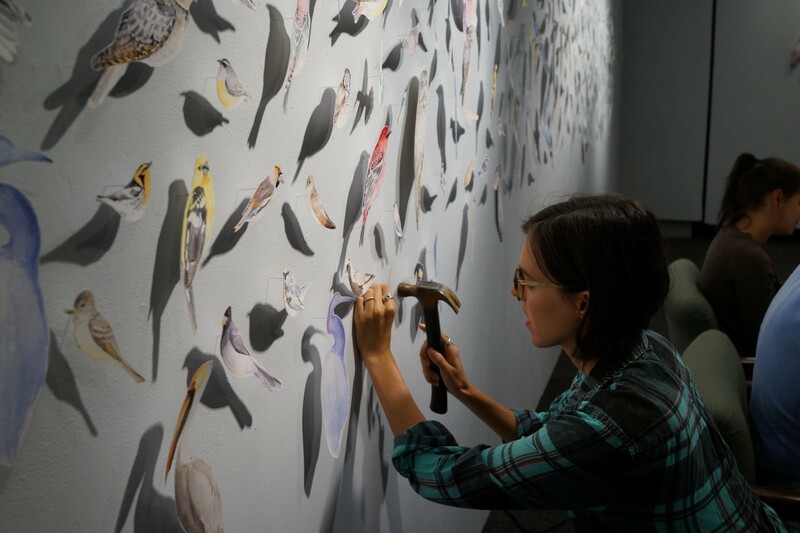 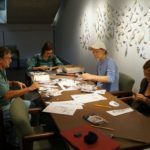 Jenna Caire is the only graduate for the Summer 2015 semester, and worked with Senior Preparator Wayne Vonada in preparing, installing, and taking down her project. 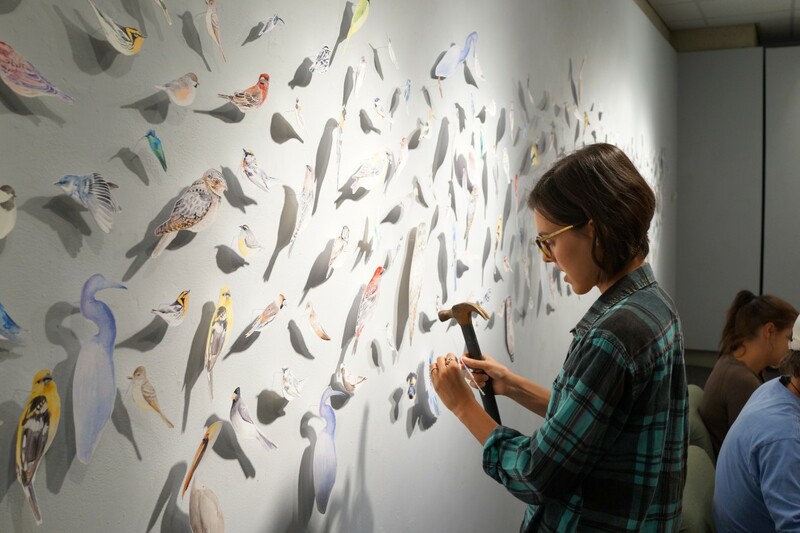 To learn more about the FSU Museum of Fine Arts visit their website. 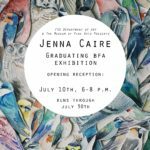 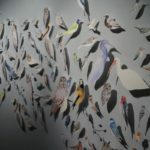 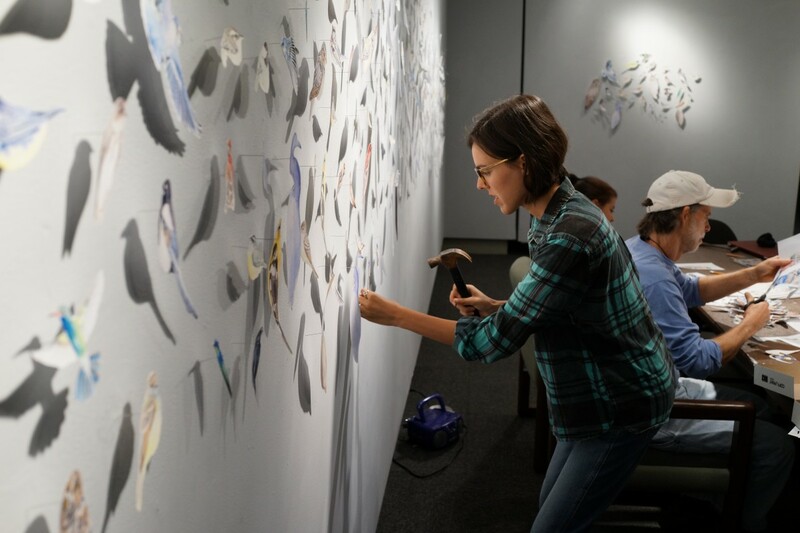 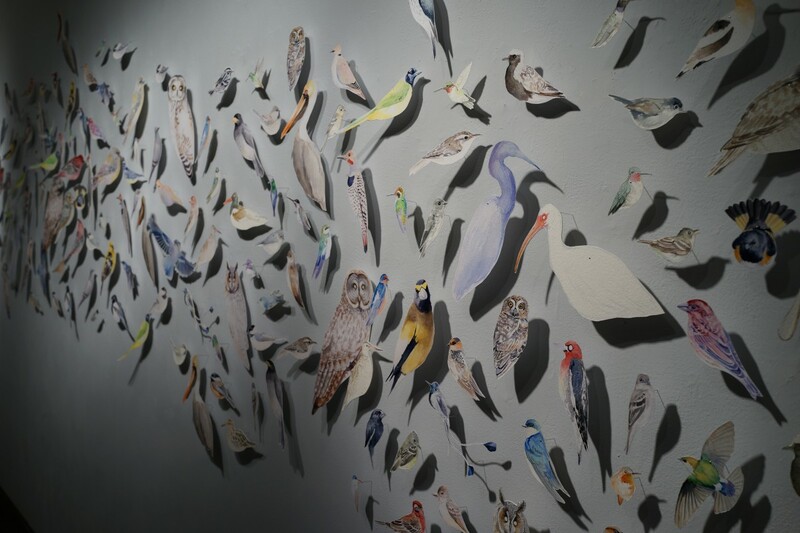 The opening reception for Jenna Caire’s BFA Exhibition at Florida State Museum of Fine Arts took place on July 10th from 6-8 pm and the exhibition ran from July 10th through July 30th. 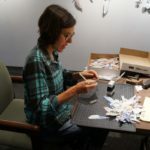 A radio interview was also recorded by Florida State 24/7. 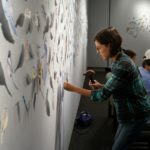 The Bachelor of Fine Arts (BFA) in Studio Art is a one hundred-twenty (120) credit hour limited access program that provides an intensive background in theoretical knowledge and professional skills. 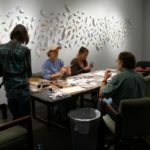 BFA students will develop a personal vision, a high level of competence in technique, and harness the ability to make sound artistic decisions. 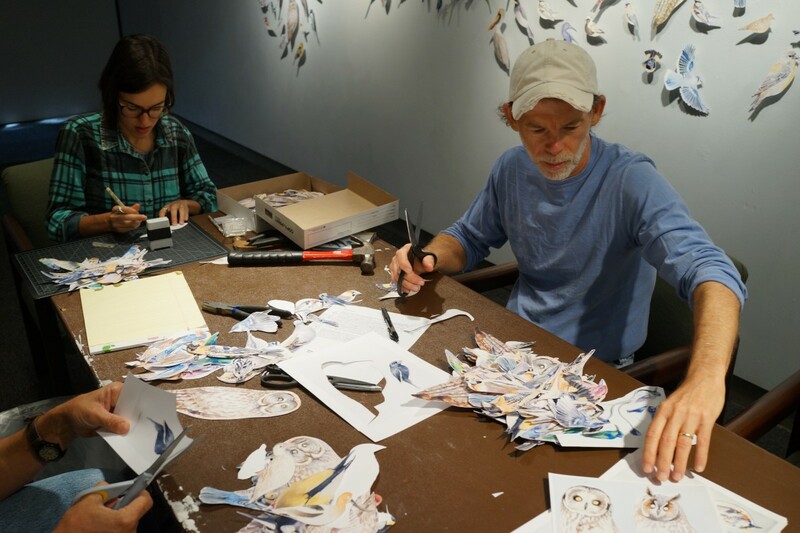 The BFA in Studio Art is a proficiency-based program, characterized by continuous assessment. 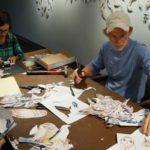 This program is only available to FSU art students. 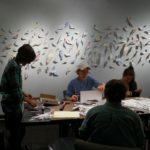 Accepted students will have the opportunity to request personal studio space in the BFA Warehouse, where they can exhibit their work in a public gallery space. 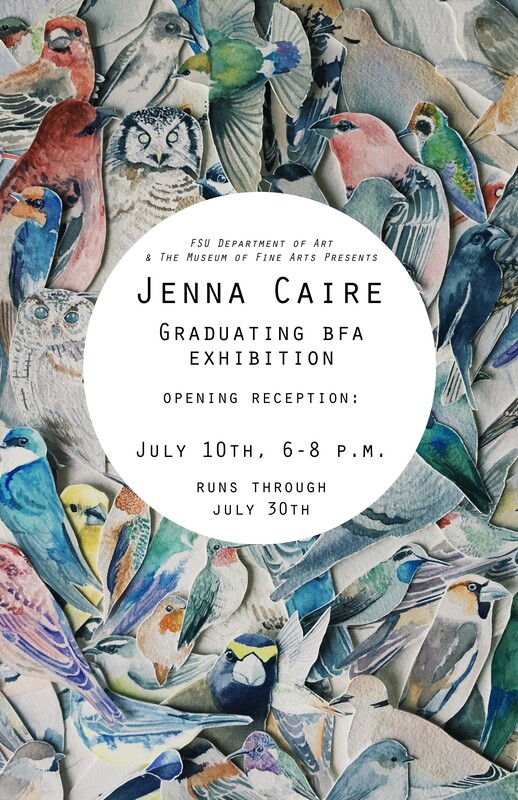 Additionally, graduating BFA seniors exhibit their work at FSU’s Museum of Fine Art in their last semester.